First off why do you go to a website in the first place? Typically one ends up on a website in the search for something specific. So let’s say you sell “beans,” your site offers over 1,000 types of “beans.” How will you know if people are interested in your products? Most importantly how will you collect data from a visitor who maybe is interested in beans but doesn’t buy your products? That’s where a free offer comes in! A free offer will give visitors information or a taste of your goods and/or services and out of this exchange, you get their email or other information you ask them for. You start with collecting an email when you first interact with a visitor then presenting them with other free offers or options, you send their way over time. Here’s the 5 things you can do to make the Perfect Free Offer for your business. The first step Don’t be afraid to be direct. This is your business there is no need to beat around the bush about what you want to provide to your customers. Your website is your business, show visitors you mean it. Keep your call to action simple and short but strong. Make sure you are direct, so visitors don’t have to guess about what to do next. When you go to our home page we have a “Learn More” button. You will notice how it’s the first thing you see on our page along with a headline above it. The second step you want to keep in mind, if you are a marketer or not, you need to stand out or in fancy terms differentiate yourself from your competition. It’s worth the extra effort on figuring out what makes your business different. Ask yourself What will make my call to action unique? How will it set my business apart from my competition? How does it help my visitors? These should be answered before coming up with your Free Offer. Remember your free offer doesn’t need to but super complicated either. Keep it simple because people today love instant gratification. It might not come to you immediately, and that’s okay, but answering these questions and doing your research always helps! The third step is good verbiage, also keep in mind some phrases tend to work much better than others some even might get more clicks than others. But ideally, you want to use words that will compel a visitor to do whatever action you want them to do. The first problem there’s so many ways a visitor can reach you what way particularly should they? Secondly, it lacks direction and deeper details that might inform a visitor much better. 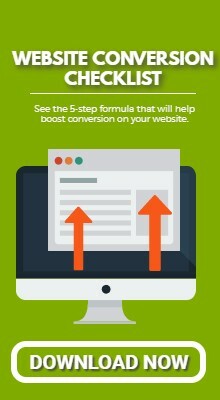 Keep in mind too Your call to action needs to be simple direct for your visitors. All these create an urgency sense which is what will defiantly work in your favor when it comes to urgency. The last step number five. You want this overall process to go easy for your visitors the moment it gets too complicated for your visitors is the moment they are going to leave, and your call to action will fail. One huge turn off for your visitors is leaving the page they are currently on. You want to avoid this as much as possible because a visitor clicking your call to action that leaves your page may leave everything all together.
. If you’re asking them to call you, make sure that the phone number is hyperlinked, and is right in front of their faces. Ready to be clicked so that they can immediately call you. This step goes for everything you’re asking a visitor’s to do. Think of this process to be no harder than buttering bread. Remember do your homework on what your competitors are doing and think about a free offer that is unique to your business and if you find you can’t do that at the very least make your Call To Action noticeable. You will find having a good Call To Action can help your business and get you leads and build a long email list which is worth a lot more than you think. It also allows a chance to engage with your clients and or customers.